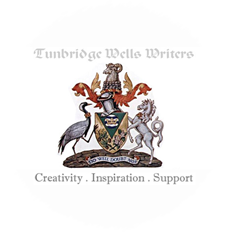 Over the years Tunbridge Wells Writers have produced a number of projects in a variety of formats, ranging from online interactive events and art festival tie-ins through to e-books and hardcopy publications. We have previously hosted links to these projects elsewhere on the website, but have reached a point now where a dedicated page makes more sense. So this is it! A PICTURE IS WORTH A THOUSAND WORDS: A single image prompt, delivering a dozen very different interpretations. Download the free e-book from Smashwords HERE. WELLS READ: A tie-in with the Electric Lantern Festival, offering both a written and audio tour of Tunbridge Wells landmarks. A mix of fiction and some factual essays, with the occasional poem thrown in for good measure! Download the free e-book from Smashwords HERE, or if you fancy taking the audio tour you can listen to the authors reading their work HERE. FRIGHT NIGHT: We published our first collection of dark tales written to celebrate Halloween in 2014. Our Fright Night Halloween reading nights have become a hugely anticipated annual event, and we’ve added two new titles to the series over the years. All the books can be grabbed – for free! – from Smashwords HERE. TWELVE DOWN: A collection of stories for younger readers (loosely aimed at “middle-graders”, [8 – 12 yrs] but hopefully appealing to younger and older readers too). A dozen stories in total, making the title a double play on words! Download the free e-book from Smashwords HERE. SOMETHING IN THE WATER: A collection celebrating the literary heritage of Tunbridge Wells, bringing together 12 famous local authors from history as interpreted fictionally, “factionally” and factually by seven not-so-famous local authors. This is the first of our publications to be produced in both e-book and hardcopy formats. Download the free e-book from Smashwords HERE, or if you prefer reading “real” books rather than those horrid electronic things you can buy the hardcopy version HERE. Of course publishing has changed dramatically in the past decade or so, and online publication offers a variety of new opportunities. We will be exploring these possibilities more in future, but for now – and in addition to the audio tour mentioned above – we have two offerings to, erm, offer. CHRISTMAS ADVENT CALENDAR: As with Halloween we like to celebrate Christmas with a new writing project. In December 2013 this took the form of an interactive advent calendar rather than our usual Christmas themed “countdown”. Selected stories from the collection were featured in the Tunbridge Wells Courier for the three weeks leading up to Christmas. You can access the full calendar HERE. With new projects constantly in the pipeline it’s worth having a look at our CURRENT PROJECTS page to see what might be coming up. If you’re a local writer and you fancy joining in you will be made more than welcome at our regular meetups; just check the events calendar on the right for dates.